One of the most frequently asked question from prospective patients is about the difference between hair transplant v/s Hair System/weave/wig/replacement. 1. Hair transplant: Hair transplantation is an artistic, surgical redistribution of the permanent/long life hair follicles taken from the donor dominant areas, viz., the back and sides of the head and robust body hair. These long life hair follicles are transplanted into the bald/balding areas of the scalp. 2. Whatever the word chosen (Hair System/weave/replacement), it is actually a form of wig. 3. In hair weaving, a part of the wig is fixed to the scalp by use of metals clips or adhesive tape or in the worst form the scalp is shaved and adhesive is applied to the scalp to fix the hair system on bald portions. 4. Hair system whatever the name it's called is a sort of wig fixed upon the bald/balding scalp. It can be done by weaving the hair of the system to the patients existing hair. 6. The advantage of all hair systems is that they are non-surgical and can give the desired density in a short time. 7. However, all forms of hair systems lead to either traction alopecia (if clips are used), unhealthy scalp (in case the hair system is glued). 8. The other disadvantage is that the person has to repeatedly go and get it serviced every month. 10. Hair transplant on the other hand is surgical method (which makes some people afraid) and the transplanted hair take 6 to 12 months to grow. 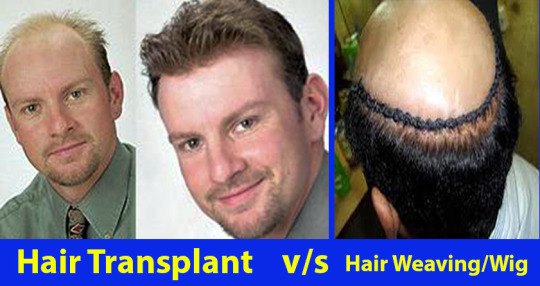 However, the benefit of hair transplant is that the transplanted hair roots grow for the patient's life time. 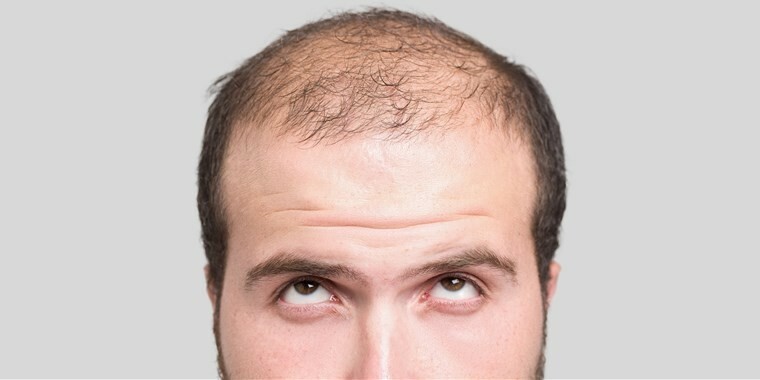 Hair Roots should always be taken from the safe donor area, i.e., the area that does turn bald even in ripe old age.
. Male pattern baldness follows specific patterns.
.	A horseshoe-shaped fringe of hair remains even with extensive hair loss.
. This donor fringe is insensitive to the balding process and will last a lifetime.
. This is because this hair is genetically programmed in the root, or hair follicle, to be resistant to the effects of DHT.
. 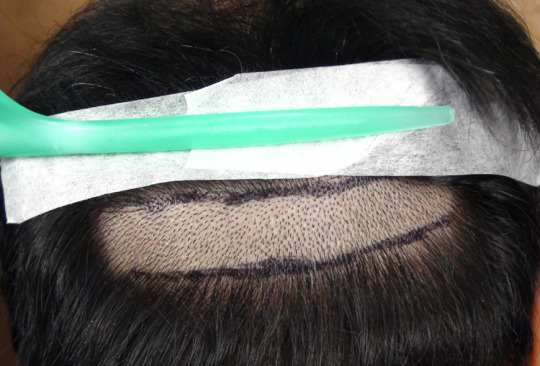 The hair in this donor area provides the basis for surgical hair transplantation. This hair, when transplanted into thinning or balding areas, will take root and grow, and continue to grow for the rest of a person's life.
. This is also referred to as the "principle of donor dominance". That is, the transplanted hair will grow in its new location as it would have in its original donor location. Hair roots are more precious than diamonds. Do your research carefully so that you know what the safe donor area is. Thus, you will not fall for the same myth that the celebrities fell for. 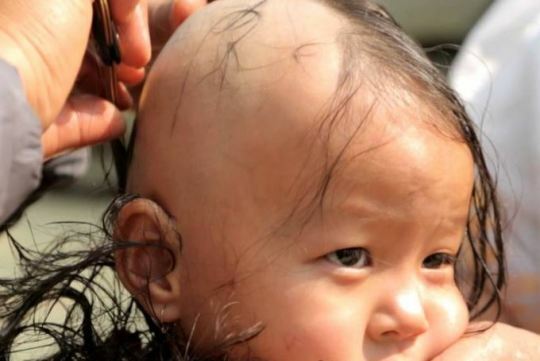 Hair Transplants DO NOT FAIL... It's THE DOCTOR'S that are to be blamed. Anyone losing hair can be prone to anxiety. The first thing they want is to DO something for it. It's not about whether the treatment is going to help or not. 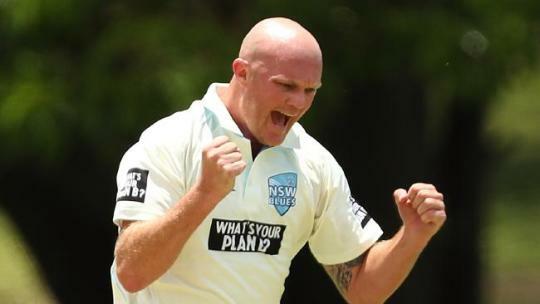 It's more about feeling that one is actively doing something for his hair loss. This is an innate human characteristic and many "snake oil dealers" and unethical practitioners try to cash on this. Do not rush into any treatment. Whether you are 20, 40 or 60 years of age, the first thing for you to do is to write down the following things. (This is what we ask from our patients too). 2. What is the extent of hair loss male members on both sides of your family experienced? (Does not matter what age they reached that level of hair loss). 3. What is the current speed of your hair fall? (slow, moderate or rapid). 4. Have you taken some good clear pictures of the extent of your hair loss? Most people do not like taking pictures that show them in an unflattering light. However, pictures are important. Both for your future doctor as well as for you to gauge your speed of hair loss. Take clear pictures, preferably with a good digital camera. Do not use flash while taking the pictures. Flash distorts the picture and it becomes difficult to evaluate the real situation. Take pictures in indirect natural daylight. You may take them standing in the balcony or near an open window on a bright sunny day. Take pictures with the hair combed back (no combovers, this has to be your moment of truth with yourself). Front view and side view must include till at least the eyebrows. The top view must include the complete head (both ears included). Back view and a view of the donor area of the scalp with the hair parted. These pictures are your baseline. Now repeat the same exercise at regular intervals. Once every 2 months will be fine. Whenever you have to gauge your speed of hair fall, or the benefit you received from any mediation, this photographic record will be of help. Many people think that they can gauge their hair fall or restoration by just looking in the mirror. That is a mistaken notion. Now that you have completed taking some pictures, repeat the entire exercise with you hair wet. (Not dripping wet, just a wet comb will be sufficient). This will highlight areas where thinning may have just started. 5. Have you consulted your family physician or an unbiased physician about the cause of your hair loss? Do so. They may not be very experienced or sympathetic but they will be able to rule out any major factors leading to your hair fall. Hair loss need not always be a DHT influenced pattern hair loss. 6. Does anyone in your family or friend circle suffer from hair loss? If yes, talk to them about their experience. They have already travelled some of the paths that you plan to follow. Their experience may benefit you. Once you have this list, you have reached the starting point of doing your own research on something that is bothering you. This is your first active step. Don't let Dandruff let you down!! Dandruff is a skin condition that mainly affects the scalp. Symptoms include flaking and sometimes mild itchiness. It can result in social or self-esteem problems. A more severe form of the condition, which includes inflammation of the skin, is known as seborrheic dermatitis. Dandruff affects about half of adults. Onset is usually at puberty. Males are more often affected than females. Dandruff is often worse during the winter months and better when the weather is warmer. Certain hair care products can trigger a red, itchy, scaling scalp. Frequent shampooing may cause dandruff, as it can irritate the scalp. Causes include dry skin, seborrhoeic dermatitis, not cleaning/scrubbing often, shampooing too often, scalp psoriasis, eczema, sensitivity to hair care products, or a yeast-like fungus. Dry skin is the most common cause of flaking dandruff. 1. Skin oil commonly referred to as sebum or sebaceous secretions. 2. The metabolic by-products of skin micro-organisms (most specifically Malassezia yeasts). 3. Individual susceptibility and allergy sensitivity. 4. Ringworm, or tinea, refers to several types of contagious fungal infections of the top layer of the skin, scalp, and nails. (Ringworm is caused by a fungus that eats keratin, a protein found in skin, hair, and nails). 1. Dandruff occurs in 50% of adults. 2. It is not just skin flakes. It is a fungal infection. 4. Dandruff does not cause baldness. 5. The common way of transmission of dandruff is through using shared things. Just as you do not share your toothbrush, similarly you should not share your comb/brush. Ketoconazole (Nizoral) shampoo: shampoos use a combination of special ingredients to control dandruff. Ciclopirox: It is widely used as an anti-dandruff agent in most cases. Coal tar: It causes the skin to shed dead cells from the top layer and slows skin cell growth. 7. And let no one no matter how big a post, don't ever let a celebrity shrug off dandruff from your shoulder! Monsoon has come and you have been waiting for this season from a very long time. But unfortunately, some of us can't take the joy of pretty monsoon and avoid to play under rain due to increased hair fall in this season. The most common problem during monsoon season is hair fall. Especially, in cities with high air pollution, toxic smog etc. 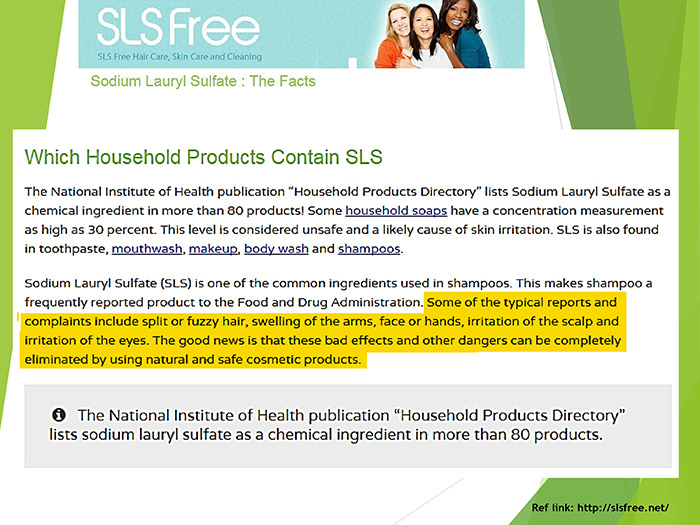 All these lead to additional adverse effects on hair. With first ever rain of a season, all those air pollutants mix with rainwater and fall on earth's surface. Also, the high-on-humidity weather is the main reason for hair breakage and fall. In this weather, your hair absorbs hydrogen, breaking disulfide bonds leading to the smooth cuticle opening up and causing hair to be frizzy. So, just think before while having a rain bath. However, you can take care of your hair by doing some simple and small DIY tips at your home. In this rainy season drink at least 2-3 ltr of water daily. Water helps clear off your body toxins. You may drink boiled water for best results. 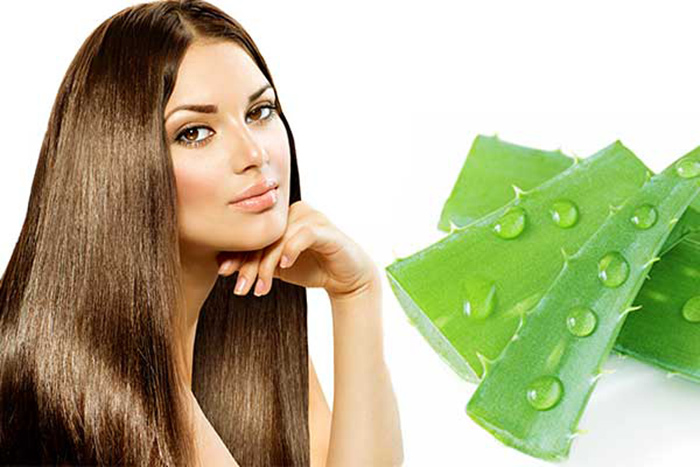 Aloe Vera can be used to treat dandruff, split ends and hair fall problems in any season. Massaging Aloe Vera gel into the scalp is also helpful. 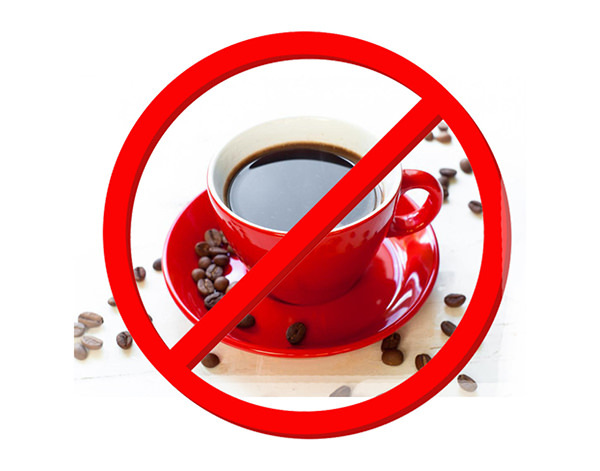 Excessive caffeine intake leads to dehydration which is another key reason for hair loss. Oil your hair but massage gently to avoid breakage. Once or twice a week is good for nourishment, but doing it more often is not recommended, as your scalp is already oily due to the weather. You can wash and condition your hair as soon as you get home. Regular shampooing won't lead to hair loss or dry scalp, provided you use a mild shampoo and apply liberal amount of conditioner after rinsing the shampoo. 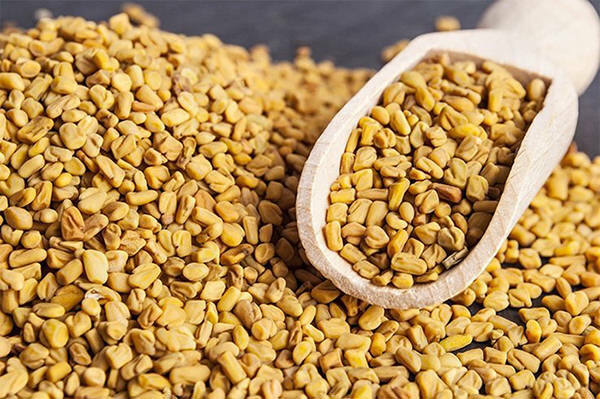 Methi, also known as fenugreek, contains hormone antecedents which help revitalize damaged hair follicles. This makes hair strong and immune to damage. 7. 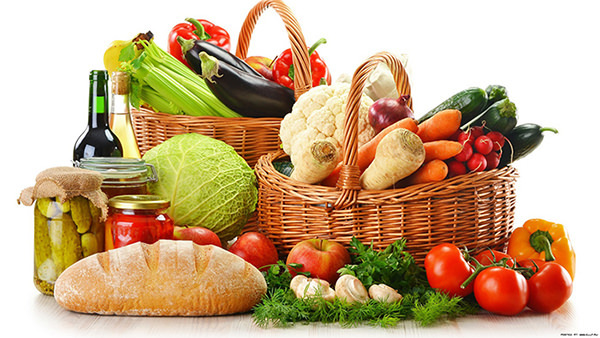 Switch to healthy diet. Add fresh fruits, leafy vegetables, whole grains and protein-rich foods to your plate to tackle hair fall in the rainy season. Always gently dry your hair first and then comb it with a wide-toothed comb. Avoid using heated hair equipment. 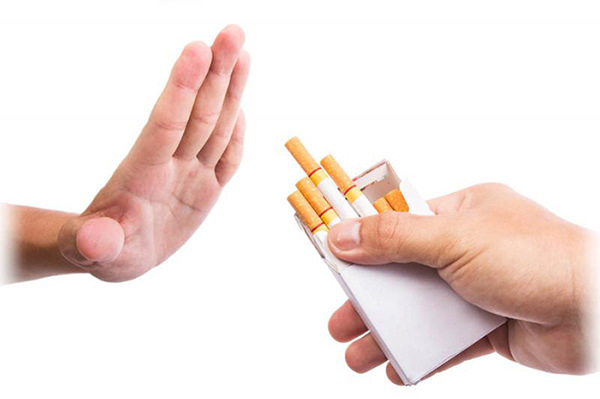 Smoking cigarettes reduce the amount of blood that flows to the scalp and this causes a reduction in hair growth. Make time for physical activity every day. 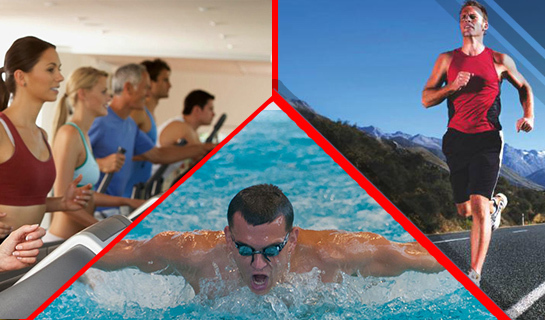 Walking, gymming and swimming for 30 minutes a day helps balance hormonal levels, reduces stress levels besides reducing hair fall. Over the last few years, premature greying of hair has become a major concern for young people. Nowadays, it's a common problem in people of early age (20's or 30's) see hair greying on their head. It has become an important medical concerns for thousands of people. Men and women alike, are seeking medication. The best way is to treat this problem with effective home remedies that have no side effects instead of using harmful hair coloring creams. There are many causes of hair greying. Following are some common causes. Simple DIY tips to prevent premature greying. 1. The picture above is a Hibiscus plant. Take 6 to 8 leaves, add a tbsp of a curd and 2 drops of any essential oil. Make a paste, apply on scalp and leave for 1 hr and then rinse. 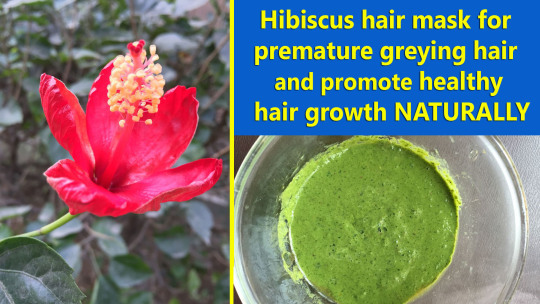 This is supposed to delay hairfall and hair greying since ancient Vedic times. 2. Take a handful of curry leaves, hibiscus leaves, karisalai leaves, coriander leaves and grind them together into a smooth paste. Add five drops of lemon juice to this paste. Apply on the scalp and the hair. Leave it on for an hour and then wash. Apply this paste once a week. Regular application of this pack can darken existing grey hair and it also prevents premature greying. 3. Fenugreek Seeds, Henna, Basil, Coffee, Mint and Yogurt Hair Mask Remedy. 4. Massage your hair with any oil of your choice (preferably bhringraj oil). Then wash it with a the liquid mixture of 2 tsp shikakai powder, ½ tsp reetha, and ½ tsp amla powder soaked overnight in water. 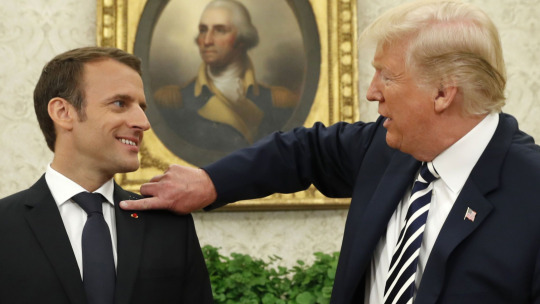 Your caption of Trump dusting off the dandruff from Macron is interesting. Some say that there is more going on there. Kind of like what you see on the hairloss forums only its a language among the marketers and the average reader can't see it. Some have said that Trump is simply dusting off the dirt from someone who is dirty but only those that are also dirty understand the language. A stooge that is easily controlled and will do the bidding of whoever controls the stooge. Is is possible of course and that is why all information needs to be considered and only observation over time will determine validity. Yes there are stooges in the hairloss industry who will do the bidding because they let their integrity become compromised through money. It happens every day. Watch what they do online and ask yourself is this normal is there more going on? Are the marketers you are reading the real deal or simply stooges playing a part? Always ask yourself questions. The more you watch the stooges the more you need to question the industry. Does this mean all ht doctors are bad? no. But these marketers one needs to keep a close eye on. As more and more information comes out on what is really going on in the world more are starting to consider that there is more going on than they thought. But anyone who has read dozens of books that have been published over the last 100 years alone would already know that. The forums can be like MSM you can't possibly expect to get truth you have to work harder that that because people let money corrupt them. Maybe not you but surely someone will be willing to play the part of the stooge for a buck. You see all the attacks by MSM............what about all the attacks in the past by marketers on the forums and even today you can still see them going at it. Are you starting to see a pattern? 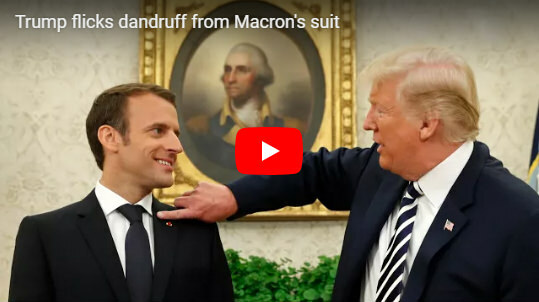 But I could be way off base here and Macron has dandruff so bad that Trump was simply preening him. Thank you for the info on dandruff I'm sure it's helpful for those who suffer with the condition. Why are men loosing hair in their 20's? Our ongoing research shows that people are losing hair 10 to 15 years before compared to their grandparents. 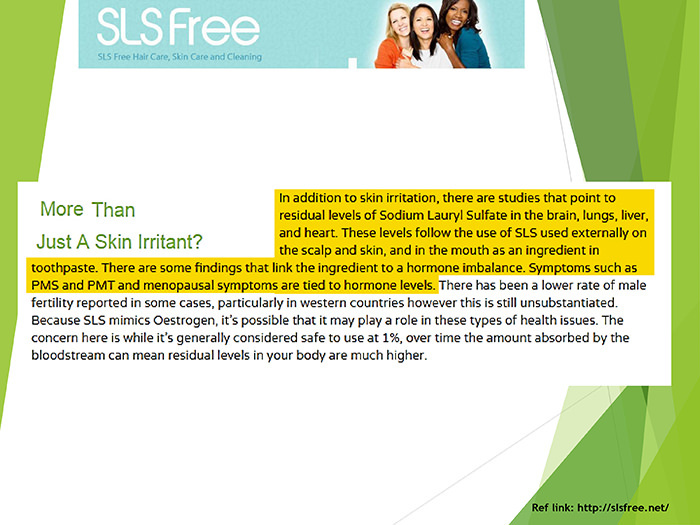 The main reason behind this is the toxins absorbed through the skin and scalp. This started in the 1970's. When MNC's started putting toxins in body care products (shampoo, soap, make up items etc). 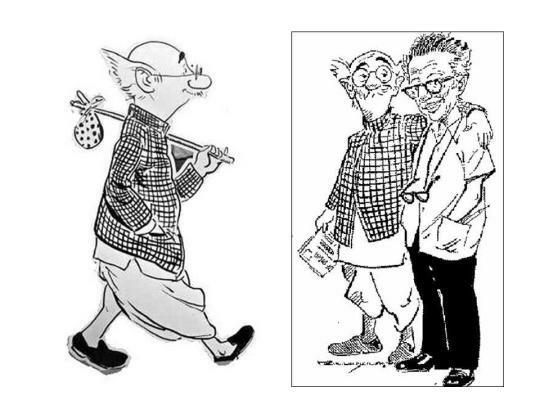 Below is the proof. Hope you benefit from it. This is another oft-asked question. Many people want to believe that their hair loss is due to a disease and will be reversed completely by curing the disease. That may be the case in some. Unfortunately, not in all. I have found an easy way to help differentiate and explain the type of hair loss is by understanding the concept of pattern hair loss. Androgenic alopecia or the commonest form of balding follows a pattern. Diseases usually do not follow the same pattern. 3. Hormonal imbalances (especially thyroid). 7. Traction alopecia (due to sustained and long-term traction on the hair roots). Two commonest subgroups affected by this are Black women wearing tight braids and Sikh gentlemen wearing hair tightly under their turban. There are many more rarer causes and maybe veteran readers will be able to add them to this thread. But to keep this short, I will desist. Sufficient that you get a brief idea of the types of hair loss. A good first step is to contact your family physician as the first step. 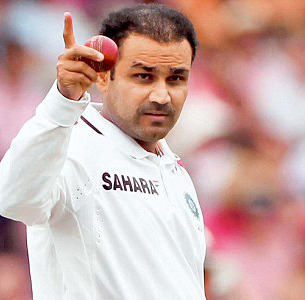 He should be able to rule out or advise tests for hair loss due to reasons other then androgenic alopecia. 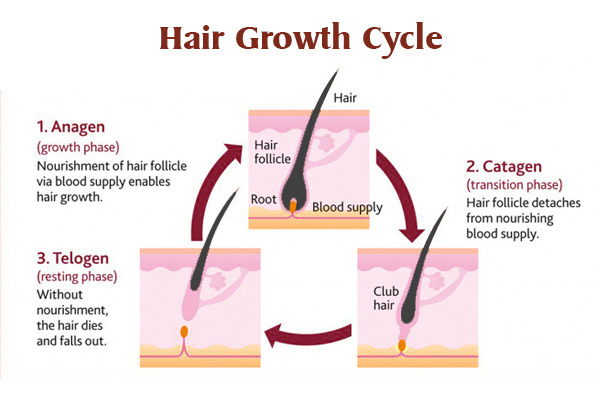 Hair growth cycle is divided into 3 phases. Anagen, catagen and telogen. Recent advances have added more stages/phases but for ease of understanding, I am limiting this discussion to easy to understand simple stages. The active growth phase is called anagen. During anagen, cells in the root/hair buld divide mitotically to add to the hair shaft. During catagen, the hair bulb ceases to divide and starts involuting and regressing. Catagen phase starts at the beginning of involution and ceases when the involuting bulb reached the level of the bulge. Telogen is the resting phase of the hair. The hair ceases all activity and stays as a club hair. It may shed at any time from the beginning of the telogen to the time new angen phase commences. The event at which the telogen hair sheds is called exogen. Exogen need not be at the time of the start of the next anagen. Effects like traction, trauma may bring it earlier on in telogen. The various phases of the hair growth cycle differ in different hair (scalp, nape, body, beard hair etc. have different duration of the various phases). For a present, we concentrate on the scalp hair. Anagen lasts for anywhere between 2 to 6 years. Catagen for 2 to 4 weeks and telogen for 3 to 5 months. As a thumb rule, we can say A:C:T is 3yrs:3weeks:3months. In scalp hair approximately 85% hair are in anagen, 12 to 14% hair are in telogen and 2 to 4% hair in catagen.
? as if someone is being stabbed thousands of times in the head. I think this question would be best answered by patients who have already got the procedure done. 1. Injections of local anaesthesia are given in the donor and recipient areas to render them numb/ pain-free. So, the actual surgical procedure itself is pain-free (even though it may look messy or horrifying in the pictures). 2. In strip FUHT, the sutured donor area will be tender after the effect of anaesthesia wears off at the end of the procedure. Painkillers are prescribed for the same for 5 days. 3. The recipient area is usually pain-free at the end of the procedure. 4. The donor area of FUSE/fue is usually pain-free even after the effect of anaesthesia wears off. There may be minor discomfort or soreness for a couple of days. Most patients do not feel the need of painkillers after a FUSE/fue procedure. For sake of convenience, I shall summarize the evolution of hair transplants from the 1950s. 1. Plug grafting - 4 to 5mm hair root bearing plugs were excised from the permanent donor area at the back and sides of the scalp and transplanted to the bald scalp, where they sprouted hair. 2. Minigrafts - 4mm plugs were bisected into 2 to 4 pieces. These were called minigrafts. They were transplanted in front of the 4 mm plugs to reduce the visible pluggy effect. 4. Open shotgum harvesting v/s strip excision - Somewhere between the 1970s to 1990s, the open shotgun harvesting was gradually abandoned and replaced with suturing close the extraction site. Gradually the extraction was done in form of a strip. 5. Follicular unit dissection - The grafts were dissected under microscopes in their naturally occurring groupings called follicular units. 6. Follicular unit extraction - Individual follicular units were extracted from the scalp donor area. This did away with the necessity of a suture closure. The extraction tools and sites gradually became smaller. 7. Body hair to scalp transplants gave valuable additional donor hair eventually reaching a stage where the most robust beard donor hair could be harvested and transplanted. 8. All along this time in past about 15 years the number of follicular units that could be transplanted increased. This led to larger transplant sessions giving better hairline designs. The myths or missteps along the way I shall write down separately. Pain and tenderness in the strip donor area, especially on the night immediately after the procedure has been performed, is a concern for some patients. It is a good idea to inject the suture line with Injection Bupivacaine toward the end of the procedure. Bupivacaine is a long-acting local anaesthetic and very helpful in numbing the area overnight. 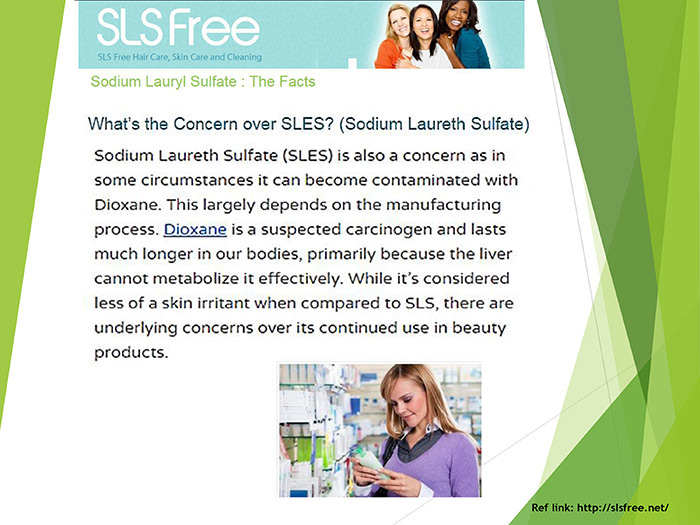 Usually, 1ml is sufficient to lightly infiltrate the entire suture line in a full-length strip wound. Please do discuss this with your hair transplant doctor before going for the HT. I sometimes come across patients suffering from hair loss due to causes not as common as androgenic alopecia. Recently I came across another example of hair loss - this one due to Lichen planopilaris. In most of the instances, I have found that the majority of the medical community is as clueless about the causes and treatments of the less common forms of hair loss as the general population. 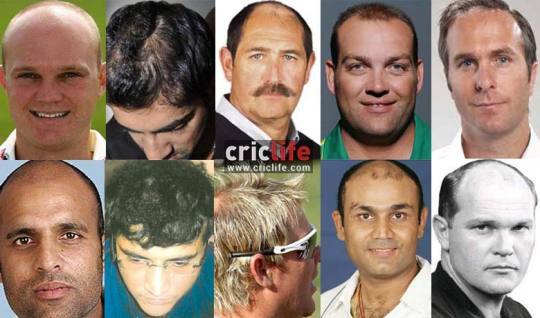 It is vital that these forms of hair loss be discussed too. It's also important to know when (and if ever) hair transplant can be an option for them. I shall devote the next few posts to these topics. Please feel free to join in the discussion with questions, comments, experiences and suggestions. Alopecia areata occurs in 0.1% of the human population. However, in absolute terms, even that 0.1% is a huge number. Alopecia areata is diagnosed clinically as a smooth patch on the scalp. Hair is usually lost in a matter of days. It is thought to be an autoimmune disorder - that is, the body's immune system starts attacking its own hair follicles in a particular area. Why that happens, and only in a particular area, is not known. In most cases , especially, if the patches are small, they heal on their own. In other cases, steroids have been tried (orally, topically or as intradermal injections) with mixed results. However, the adverse effects of using corticosteroids on a long-term have to be weighed in when deciding to use them. It has been observed that psychological stress aggravates this condition. However, that is an anecdotal finding. In the healing or regrowth phase, it's noted that the hair that grows back is initially non pigmented and thinner. Later, it regains its pigmentation and diameter. In rare cases, the hair loss may spread to the complete scalp. Then it is called alopecia totalis. If hair is lost from the complete body, including eyebrows, nasal and pubic hair, then it is called alopecia universalis. Hair transplant is NOT a treatment for alopecia areata. The only rare situation in which transplant may be performed is if there is a stable, small patch that is not spreading (for atleast 1 year) and has been resistant to medical treatments. Please remember scalp Psoriasis does not cause permanent balding. It may lead to a temporary hair shedding in the psoriatic patches. However, upon remission, the hair grow back in those plaques. When planning a scalp to scalp HT, it's prudent to first treat any Psoriatic patches. 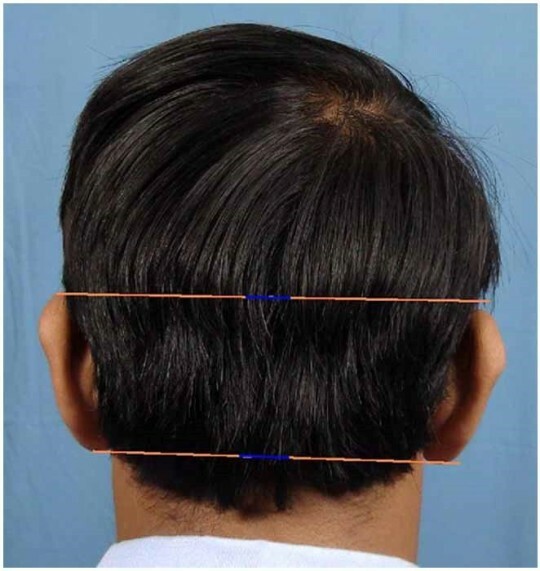 Psoriatic patches, most commonly, develop in the back of the scalp (donor area), though may occur as discrete patches in almost any part of the scalp. Treatment of psoriasis in the scalp presents its own unique problems. 1. The hair covering the psoriatic plaques, prevent adequate sun exposure. Sunlight exposure , in form of UV light, is a known treatment for Psoriasis. 2. The presence of hair make application of many topicals difficult and messy. 3. Scalp psoriasis may be overlapped by seborrhoeic dermatitis. Keeping the above things in mind, the following is a suggested scalp care regimen. 1. Go for a buzz cut , if possible. That will help by more UV exposure to the affected area and will make application of topicals easier. 2. Coal tar and Ketoconazole shampoos . 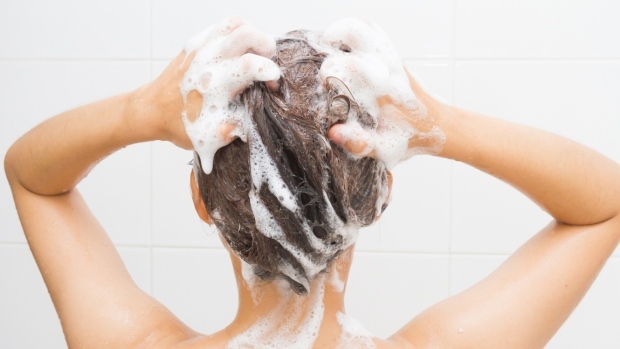 Remember that medicated shampoos need to be massaged into the scalp and left in for a longer time. 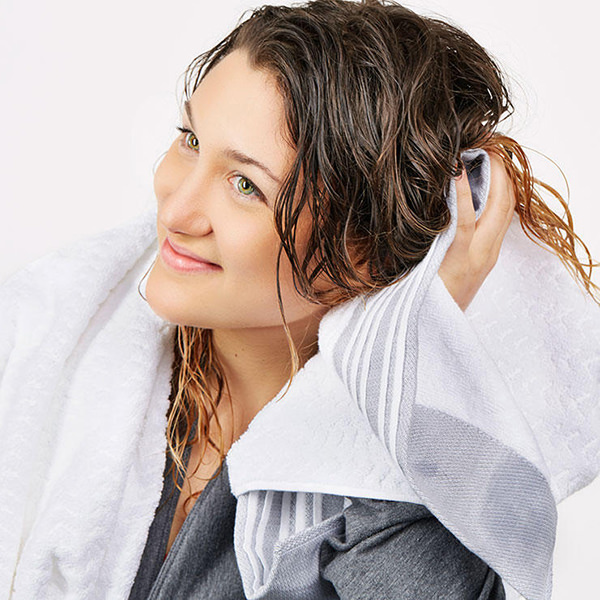 We recommend that you wet your hair first, apply the shampoo and leave it on for 10 minutes before rinsing it off. Coal tar shampoos are sufficient for starting treatment for most scalp psoriasis patients. Ketoconazole can be added if the psoriasis is accompanied with seborrhoeic dermatitis (also called Sebo-psoriasis) and/or fungal infections. Use these shampoos twice a week. For people who do not like the smell of these medicated shampoos, post bath, they can shampoo again with a non medicated shampoo of their choice, followed by a conditioner. That should take care of the smell issue. For those suffering from more severe psoriasis, use of topicals may be required. Topicals may be in form of steroids (Diprovate lotion is easier to apply as it is alcohol based instead of cream/oil base) can be used to alleviate the itching. Prolonged use of steroids should, however, be avoided. Its best to use them intermittently. Coal tar creams, salicylic acid creams and Coconut oil compound ointment are more effective (though messy). Apply these creams by rubbing them into the plaques. Wait for 1 hour and then shampoo them out. Or, apply them before bedtime and leave them overnight. Wash the next day. Calcipotriol, phototherapy and oral medications. Please remember that all treatments mentioned above must be taken under proper medical supervision. It's best to go for a hair transplant procedure once the psoriasis is under control. In recent months there has been a lot of enquiries on this topic. So I compiled a basic shortlist. Please do not hesitate to add to the list of causes and possible treatments. I have kept this simple though there do exist other complex and rare conditions that may be causative factor. Hairloss is becoming increasingly common in women compared to previous decades. 1. Hormonal Any changes in female hormone levels can lead to increased hairloss. This can happen in conditions like menopause, surgical removal of ovaries, thyroid problems or sometimes due to prolonged oral contraceptive therapy. Correction of the hormone levels is usually sufficient to treat this type of hairloss. 2. Telogen Effluvium (T. E.) T.E. is a medical term which means that a lot of hair go into resting/ dormant phase at the same time. Therefore, a lot of hairloss is noticed. The most common incidence in T. E. is seen approximately three months after child birth. This is further aggravated by the stress and insufficient diet that ladies usually resort to nowadays to reduce their weight after child birth. Other common cause of T. E. is extreme dieting. The good news is that if corrective measures are taken hair lost will grow back. 3. Female Pattern Hairloss (also called Androgenic Alopecia) - This is genetic in nature and is usually noticed in successive generations. In this type, hair is usually lost from the central part area. Medical measures are rarely effective for this type of hairloss. Hair Transplant however can be performed in such case to get growing hair into the balding area does increasing its density. 4. 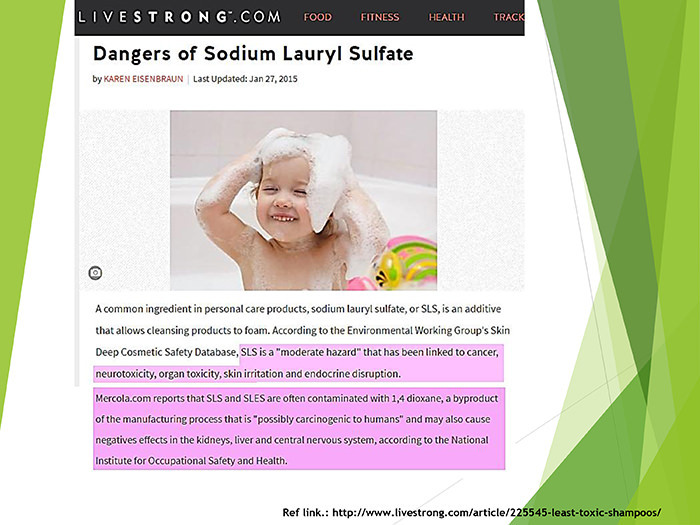 Use of harsh chemicals e.g. for hair straightening, coloring can cause hairloss. 5. Traction alopecia This refers to hairloss due to continuous traction/pull on the hair. This occurs if hair are tied very tightly e.g., in beads or due to use of hair extensions. Hair transplant can be used to regrow hair in such type of hairloss but the underlying cause should be removed. This is another often overlooked aspect of hair transplants. One must spend time with the person and ask him/her what they want. This is one question I ask my patients and they are usually surprised. Dr. A - What do you want? Pt - Of course, I want hair. 4. Depending on how much donor you have, how much do you want to use right now given your age and your family predisposition to further hair loss. Pt - You are the doctor, I guess you are the best judge. This is where I stop. Remember, as a hairloss sufferer and as a recipient of a hair restoration, you are the one who is going to look at the results every day in the mirror. To one person, the bald crown may be more bothersome while another may want a really youthful hairline even if the crown is bald or thinning. This personal psychological aspect is something that you as a patient must communicate to your HT doctor. Even better, see multiple results, search for a person with hairloss and hair characteristics similar to yours and the resultant transformation and point it out to your doctor that this is what you want. If it is something he feels unrealistic or not possible for you, he will say so. If not, then atleast you will look in the mirror and be able to think that ... yes, this is what I wanted (not that this is what my HT doctor thought best for me). Graft estimates is another important topic for patients researching HT options for themselves. How does the doctor give graft estimates for a patient? 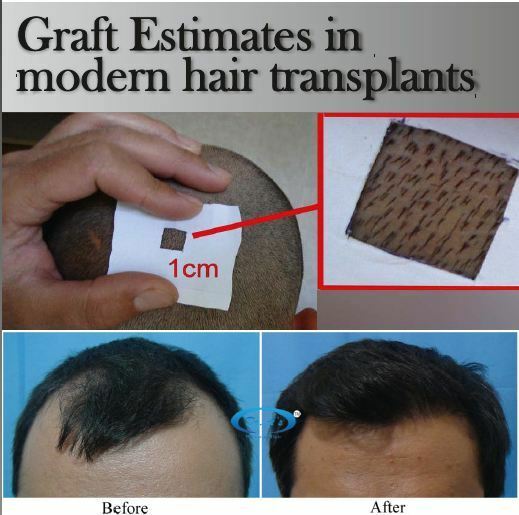 The wrong way to do this is to limit the graft estimates to the number of grafts the doctor/clinic can perform e.g., I have come across Norwood 6 level of baldness patient given graft estimates of 2500 grafts at some clinic. What is happening in this scenario? At best, there is a miscommunication. The doctor maybe telling the patient that 2500 grafts is the total number of donor grafts he can perform for the patient. The patient on the other hand may tend to believe that 2500 grafts will give him good coverage (maybe even a full head of hair). The full non balding adult scalp has average 100,000 hair follicles (or 40,000 follicular unit grafts). The numbers may differ among different races. The blond Caucasian have higher number of total follicular unit grafts while on the other extreme are the negroid and the Oriental/fast east people. Nevertheless, one gets a base idea. Now, if you look in the mirror and see that half the original hair have succumbed to the effects of male pattern hairloss (hair have vanished/miniaturised); you would realize that the number of follicular units lost is approximately 20,000 (half of the original 40,000). 2500 or even 5000 follicular unit grafts are not going to return the original head of hair back to you. What you will need to do is sit down with your doctor and devise the sort of hair restoration you plan. Depending on the HT doctor's philosophy and capability, he should let you know the total number of fu grafts available for transplant at his hands. Then he will let you know what he can accomplish with the said number of grafts. If what he can accomplish is alright with your expectations, go ahead. Else, you will atleast be clearly in the picture and may decide that HT is not worth the trouble for you. There is more on this topic but that for later. P.S. - meantime, you may like to research about how much total donor fu grafts YOU have available for use. A larger %age of hair follicles are in resting/ non-growing phase on the body donor areas. It is advisable to use only the actively growing hair for transplant. Preshaving the body donor areas is a simple, non invasive method to locate the actively growing hair. Please note - The body donor areas should be wet shaved with a razor (trimming with a hair trimmer alone will not suffice), 3 to 5 days before the procedure. If you have very dense and long hair growth, you may first buzz cut the hair with a trimmer, followed by shaving the hair flush with the skin using a razor. The duration of the anagen/telogen phase plays an important part overall, while the %age of hair in telogen gains increasing importance with each passing hair cycle. There are many factors that affect individual hair growth. These growth tables should only be used as a very generalized guide. While the scalp donor hair have a growth phase of, an average, 3 years, most body hair have a growth phase lasting approximately 4 to 5 months. 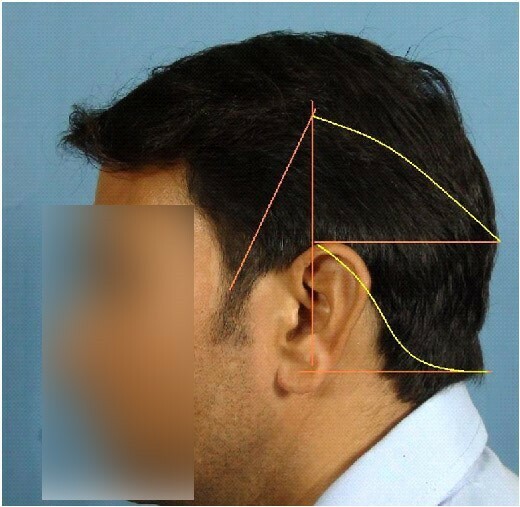 Therefore, unlike scalp to scalp transplants, BHTs will show a marked cyclic variation. Also while 85% of the scalp hair are in growth phase at any particular time, 40 to 80% of the body hair may be in telogen (non growth phase). Thus, the significance of the Preshaving protocol.